Why the name "Three Sheep Consulting"? 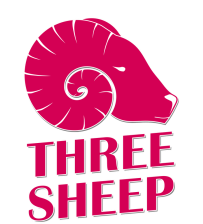 The Three Sheep name comes from a historical anecdote about value, currency, and foundations in communication. Before we had paper money, big banks, and foreign exchange mobile apps, people used to trade and barter in order to get what they needed. Transactions were direct. You trade sheep, I trade pig. The transition from one-for-one transactions (I'll take the three sheep and give you three pigs) to valued transactions (Your daughter is worth 10 camels to me) was fundamental to the development of business communications, as well as the monetary instruments we all know and use. Earliest forms of currency were symbolic, directly representative of what goods were exchanged. Coins were stamped with pictures of the good itself; one sheep coin worth one sheep. As business transactions became more complex, money evolved to represent value, rather than specific items. A coin would be stamped with a number rather than a picture, and IOU note would list a sum of money rather than the tally of items owed. This shift represents perhaps the first real understanding of consumer value. In other words, "How much are you willing to part with for this item?" Instead of handing over three livestock coins and saying "Sheep, sheep, sheep," buyers would hand over an agreed upon sum and take the three sheep. In today's virtual world, Three Sheep Consulting accepts PayPal (but not Bitcoin...yet). Owner, Three Sheep Consulting, LLC.